I was thinking about the fact that a dreidel, in America, has the 4 Hebrew letters nun (נ), shin (ש), gimmel (ג), and hay (ה). They stand for the phrase “nas gadol hayah sham”, or “a great miracle happened there”. Here in Israel, the shin would be replaced with the letter po (פ) and it would mean “a great miracle happened here”. Simplified, the miracle refers to the Chanukah story in which the oil in the great temple burned for 8 nights when only expected to last one. That temple has since been destroyed. 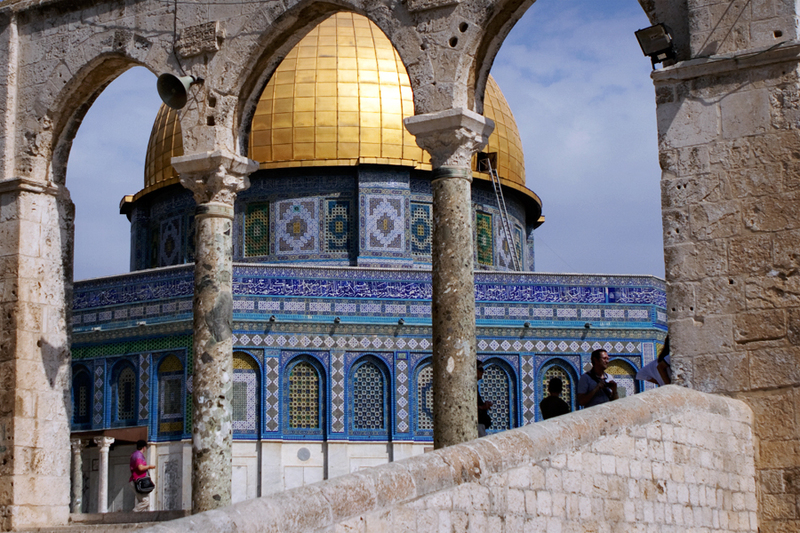 It stood atop the Temple Mount here in Jerusalem, currently home to the Islamic Dome of the Rock. The land surrounding that site was supported by huge walls, the western of which is now known as the Western Wall, the Wailing Wall, or the Kotel. That will be the location of Ryan’s bar mitzvah on Monday. While not all of them are miracles, important things still happen there (or here, depending on your geographic location). Each day at the Kotel, thousands of people stuff the walls cracks and crevasses with tiny folded notes of prayer. It is thought that this place is the closest place that one can get to God, and so leaving one’s personal prayers and pleas in this wall will more likely result in their being answered. Whatever your belief, this is an awe inspiring place to be. It’s a holy place, and to be able to stand at its base and know all that it represents in our tumultuous history is in some respects miraculous in itself. Today, an important thing happened here! There are now three tiny notes within the cracks of the wall asking for help for two important people and one important group of people. While I won’t necessarily reveal what is written on those notes, I want to tell their stories so that you can also keep them in your thoughts and prayers…in deference to a certain sister-in-law (I have 5 of them, so you’ll just have to figure it out) who called me verbose in an email this morning, I’ll be as brief as I can! First, the group. I want everyone who is a part of my enormous family of those impacted by Type 1 Diabetes that I have asked for help! All the miles that I ride my bike, all the walks and galas, all the money raised may still not be enough without a little Divine intervention! Second, Barbara Beitch, or Doctor Beitch as she’s known to those of us who are fortunate enough to have been taught by her, is my high school biology teacher. Dr. Beitch was extremely influential on me as I grew up, and will always be an incredibly important people in my life as a result. Tragically, over the pasts few years she has experienced more loss than most of us would want to imagine. Dr. Beitch’s first loss came more than a decade ago, when her daughter Debbie passed away. Her husband Irwin, also known as Dr. Beitch, passed away just a few years ago. Then, on August 5 Ricky, her son and a long-ago friend of mine, died suddenly at the age of 47. Last, but certainly not least is Uncle Barry….this one’s really hard! Barry Lang is Rachel’s uncle and ranks among the two funniest people that I have ever met in my life (Robin Williams is the other). More importantly, though, he is a most genuinely loving people and would do anything for any of us at any time! What Barry lacks in height, he more than makes up for in heart! He is truly a mensch! Over the past twenty years I have shared many experiences with Uncle Barry that I will never forget. Sadly, his battle with cancer may come to an end very soon, and I am compelled, while in this holy land, to leave a request on his behalf within the spaces of the wall as well. This note I’m choosing to share. Not the content…that’s between me and the Wall…but the placement, because I would like him and his family to see that we left it here for him! We all love you Uncle Barry! Three important things happened here today! That was our purpose and agenda. In completing that mission, we wandered the main streets and back ally ways of Jerusalem…he are a few more images that I captured along the way. Look! I’m in a photograph! It’s proof that I did actually travel with my family…and I have to say that it’s a good looking family! Herb is looking quite chic with his murse! In the United States we have garbage can, recycle bins and dumpsters. In a land constantly under threat of attack, they have bomb receptacles instead! At least the historical society ensured that it was painted to blend with the surrounding landmarks of importance. This was seen just outside the entrance to the Church of the Holy Sepulcre. Why the heck would anyone intentionally get boogers on their flute? I can honestly say two things about this…first, I have never seen this done before. Second, he was quite good! Do you Remember? More importantly, will you ever forget? I remember, and will never forget!!! At UMass Memorial Medical Center every Tuesday morning we had our management team meeting for Worcester EMS. It would start promptly at 8:00 am and usually lasted the entire morning. On This particular Tuesday we had started our meeting. Sitting in the Emergency Medicine conference room when Alicia Galvin, Dr. Aghababian’s secretary come barging through the door to tell is that an airplane had crashed into the World Trade Center. She had to have been kidding! We turned on the television just in time to see the second plane hit the building. She wasn’t kidding and our world has just changed forever. This past weekend, Jews around the world celebrated Rosh Hashanah, the Jewish New Year. The Torah reading during Rosh Hashanah tells the story of God instructing Abraham to bring his son Isaac to Mount Moriah, to bind him up, and to sacrifice him as a showing of Abraham’s devotion. Abraham follows these commands and only at the last minute is Isaac spared from human sacrifice when Abraham is disrupted by a ram caught in some bushes. 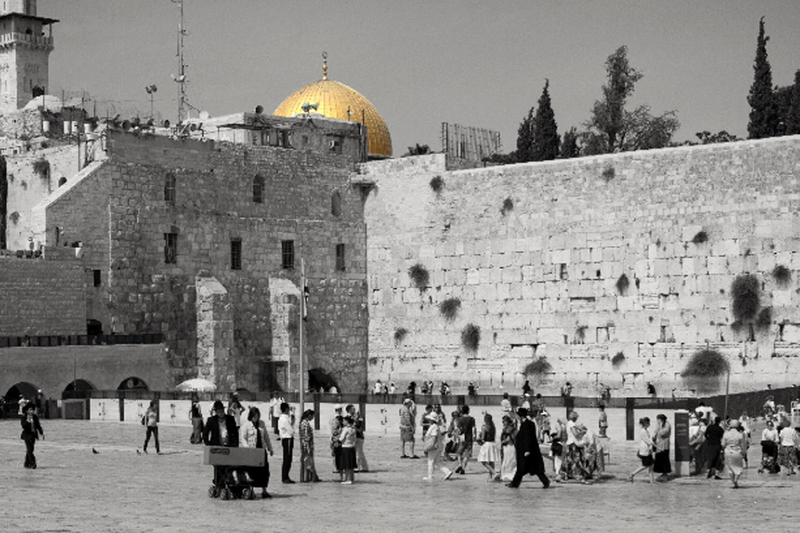 According to Jewish text, the Temple Mount in Jerusalem is identified as Mount Moriah and the the Holy Temple was built on the location of the rock on which Abraham’s devotion to God was nearly carried out. This week, Muslims around the world are celebrating the end of Ramadan. 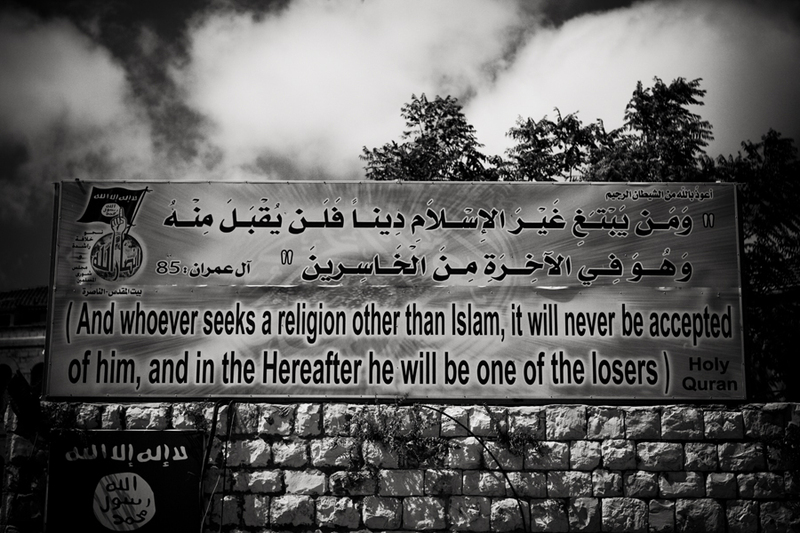 The same story I described above is told in the Qur’an…with only one minor difference. The Qur’an teaches that it was Ishmael, Abraham’s other son, who was to be sacrificed. However, it was the same location and is currently the site of the Dome of the Rock, where years after Ishmael took his tribe and founded Islam, the Profit Muhammad stepped off the rock to heaven in order to receive the Qur’an from Allah. It’s gotta make you think!! Two interpretations of the same story seems so simple. However those whose lineage followed the path of Isaac and those whose lineage followed the path of his brother Ishmael cannot be further apart and the issues that separate us cannot be more complex. It saddens me. Today is the ninth anniversary of the day on which al-Qaeda terrorists hijacked four airplanes and flew them directly into the World Trade Center, The Pentagon, and a field in Shanksville, Pennsylvania (intended for the White House were it not for the extremely heroic efforts of the passengers on board). Nearly 3000 Americans died that day, and today we should remember. We should remember more than the simple but tragic facts that I just described. We should remember why they died, and more importantly we should remember how we came together in unity in the days and weeks and months that followed. I think we have forgotten that. Instead, the divide widens. There is continued debate over the building of a Mosque at the site of Ground Zero and a Terry Jones, a Florida Pastor, planned a Qur’an burning. I must say that I am in favor of neither or these, though I recognize that we should entertain healthy debate about the former. As distasteful as it may be to many Americans, it does – at some level – represent the freedom of religion and freedom of speech that makes this country so great. As for the latter – well, this man is just plainly an idiot…and according to the photo I took in Nazareth, those he opposed already believe that he is a loser! Does he really believe that his symbolic gesture of protest will prevent the building of the Mosque? Does he not realize that his actions have put all of our lives in greater danger? Has he forgotten how we came together in unity, and is he really taking action that is righteous in the eyes of God? On this ninth anniversary of 9-11 I will chose to remember, and I will chose to remember tolerance over hatred so that those who died on that day will not have done so for naught. Today will be a day of celebration – I am off to photograph the ceremony of renewed wedding vows of a couple who celebrates 50 years of marriage. Together with their children and grandchildren, they will clearly remember that today can be a day of joy and harmony. What a contrast!